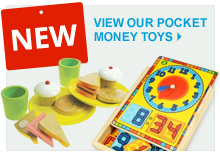 WoodenToyShop.co.uk was born out of a passion for classic wooden toys that we remembered using when we were children. We strongly believe that in this electronic age there is still a place for timeless toys that reward imaginative children with hours of wonderful play. We have witnessed at first hand young children playing with all kinds of toys and we have noticed that children love classic wooden toys as much as we did. Kids love toys that are tactile, that can be shaken and that make a noise and most of all they love toys that allow them to indulge their developing imaginations. Wooden toys offer something tangible in our increasingly virtual world and whilst we fully embrace the new opportunities offered by advances in technology and science, we want to celebrate contemporary and classic wooden toys that will bring joy, fun, education and learning to any house or garden, school or playground! When choosing the stock for WoodenToyShop.co.uk we were delighted to find that the range of wooden toys available for today’s children is better than ever before. Alongside traditional wooden toys and games, we were excited to discover magnificent pirate ships, scooter-style balance bikes, incredible play kitchens and wonderful play food. We believe we have the most comprehensive range of wooden toys available in a dedicated online store and hope you will enjoy browsing through our toys as much as we enjoy choosing them. All of our toys consistently demonstrate high standards. We have chosen toys from leading manufacturers that are thoughtfully designed and well made, using environmentally friendly materials whenever possible. Our toys are robust and hard wearing and will withstand the rough and tumble of life with little angels! We have a passionate and dedicated team working at WoodenToyShop.co.uk. We bring lots of commercial experience to our business and plenty of roll-your-sleeves-up enthusiasm. We believe in our products and we believe you and your children will be spoiled for choice when shopping at WoodenToyShop.co.uk. Our aim is to continue adding to our selection of toys and games and to ensure that our site remains easy to use and offers an enjoyable online shopping experience. We want all of our customers to trust our site to deliver a positive shopping experience. We will take extra care to ensure that you can shop safely and securely with us. 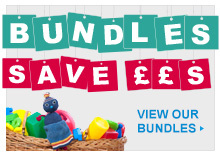 When you want to buy a present for a baby, toddler or young child then we want you to come to us. It is extremely important to us that our customer service is second to none. Please tell us what you think of WoodenToyShop.co.uk. We would love to hear your comments about our site and how we can improve it and we want you to tell us which toys we should be stocking if you spot a gap or two! We are very conscious that for many people gender stereotyping is a serious issue and our aim is to showcase wooden toys that will be enjoyed and loved by girls and boys, no matter what the toy. After many hours of serious deliberation, we enabled a ‘search by gender’ facility when launching our store. We strongly feel that parents, relatives and all grownups should feel free to search however they wish to do so and searching by gender is only one of many options for choosing what to buy at WoodenToyShop.co.uk. We also strongly believe that our customers are best placed to choose which toys will be suitable for the lucky children who will receive them. We trust our customers to know what is best for the children they are buying for and it is not our place to interfere with their buying decisions. We are always, of course, delighted to talk with all of our customers, answer all of their questions and help in any way we are able. Please contact us at andrew@woodentoyshop.co.uk. We promise we’ll get back to you as soon as we are able!